In honour of his upcoming feastday (March 19th), this instalment of the Heroic Virtue Series is on the St. Joseph, husband of the Blessed Virgin, Guardian of Christ, Father and Patron of the Universal Church! This blog will shed light on a few of the facts we know about St. Joseph’s life, but is primarily concerned with the immediate relevance of devotion to St. Joseph in our current age. 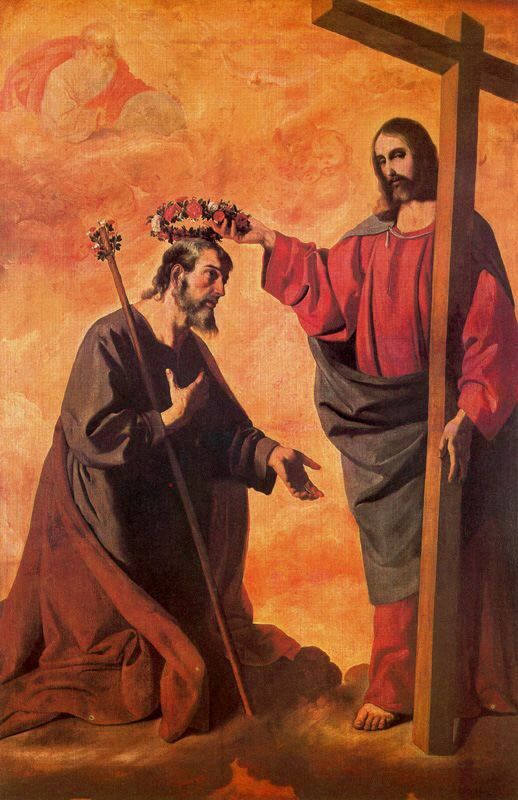 Why are the intercession and example of St. Joseph of the greatest importance to the Church today? Read on and find out. The life of St. Joseph is in large part untold, except for a few events we know about scripturally. Nonetheless, these events are very telling of his character and holiness, and throughout the Church’s history, many (including myself) have considered him to be the greatest of the saints, aside from his spouse, Mary. What makes him so special? Well, to put it as plainly as I can, Joseph was called by God to the highest vocation any man could be – to be the father of His Son, Jesus – and he accepted and lived out this mission with perfect humility and diligence. The above quote comes from Pope Leo XIII’s 1889 encyclical Quamquam Pluries, where he names St. Joseph Patron of the Catholic Church. This short encyclical is quite straightforward, and an easy read. This is a beautiful example of one of the most overlooked aspects of Joseph’s life: his role as the companion of Mary. Throughout Jesus’ childhood he was the sole companion of the holiest of women, and his holiness imitated, supported and protected hers. As Catholics we are very fond of remembering the Seven Sorrows, but I at least, rarely remember that the first three of these, those that happened within his lifetime, were also sorrows which Joseph carried. The prophecy of Simeon, the flight into Egypt, and the loss of Christ for three days in Jerusalem – Joseph faithfully and courageously led the Holy Family through these trials. 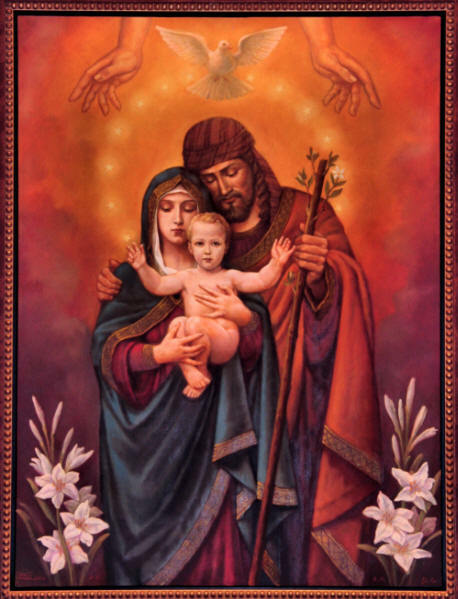 One final note about Joseph’s role in the holy family: Joseph and Mary become, in their marriage, the ultimate model for vocations, not just to marriage, but also to celibacy for the kingdom! In their unique way, as no one else could, Joseph and Mary modelled both these vocations, being faithful spouses, as well as virgins given entirely to the will of God. I’ve reflected above on why the intercession of Joseph is so powerful, and important for the Church today. Now let’s look at how the holy example of St. Joseph can be useful for us in our time. The most important thing to consider, I think, is the virtues displayed by the life of St. Joseph. The greatest of the virtues, charity, is ever present in his life, lived for the sake of the holy family. He obeyed the angel without hesitation, giving himself in marriage to Mary, though she was with child. He moved to Egypt to save his family, he worked his whole life to provide for his poor family. He died having given everything he had to Jesus and Mary. Finally, Joseph’s perfect Chastity is, with Mary’s the model for all Christians. As mentioned above, Joseph and Mary lived Chastity to perfection, in the mysterious state of their virgin marriage. We can call upon Joseph’s intercession for any of the above virtues, and against their opposing vices, but especially for Chastity. Ultimately, St. Joseph can be for us, like all the saints, a help on our journey to imitate Christ, and to grow in love. Do not be afraid to call confidently upon the Holy Church’s great patron for help.